Beskrivning Like a real-life county fair, Carnival Games allows players of all ages and experience levels to enjoy classic games like ring toss (“Post Master”) and alley ball horse racing (“Roll-R-Derby”), as well as brand new attractions like drone racing (“Light Speed”) and cosmic bowling (“Cosmic Strike”). Four uniquely themed alleys – Jungle Lane, Saturn Station, Vulture Gulch and Nuts & Bolts – provide a different look and feel for the games within them. 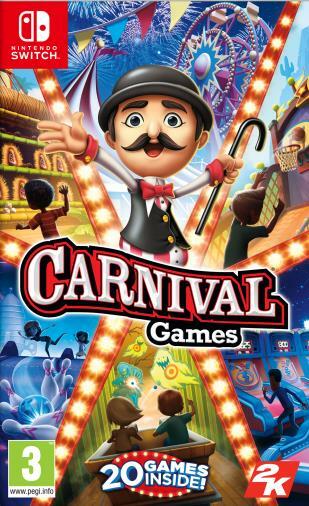 Players have the chance to win tickets by playing any of the 20 games and redeem them for new games and outfits for their customizable carnival guest characters.